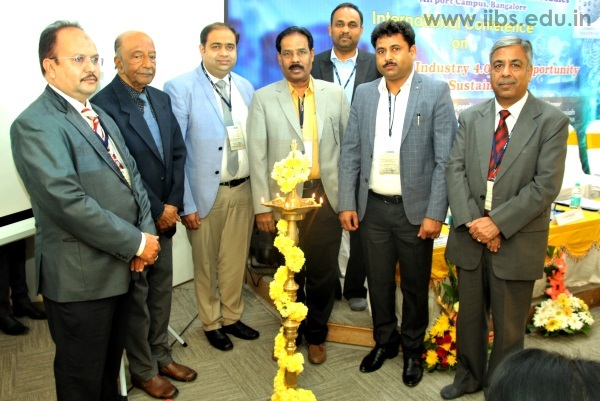 International Conference on Disruption in Industry 4.0 was held in IIBS Bangalore. 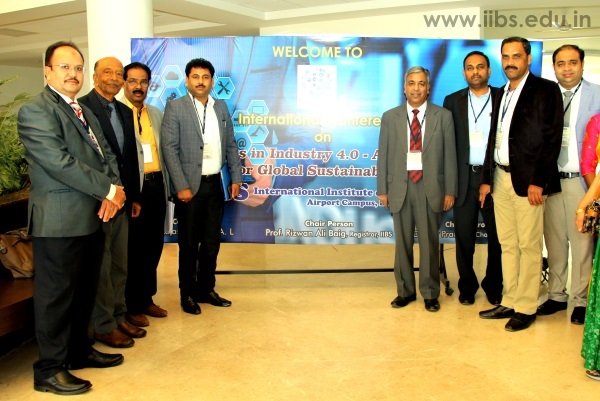 The International conference on Disruption in Industry 4.0 an Opportunity for Global Sustainability took off with a grand start at the campus of International Institute of Business Studies (IIBS), Bangalore. 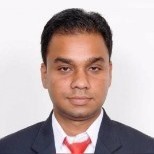 The keynote address was delivered by Mr.Vivek G.V., Process optimization-COE, Northen trust, Bangalore who gave an insight into the evolution and Industrial revolution. 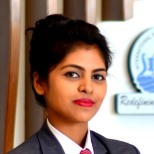 Dr.K.Janardhanam, the chief guest and the Director of Canara Bank School of Management Studies Bangalore Central University detailed about the importance of Global sustainability with the disruption in industry 4.0 as the focus zone. 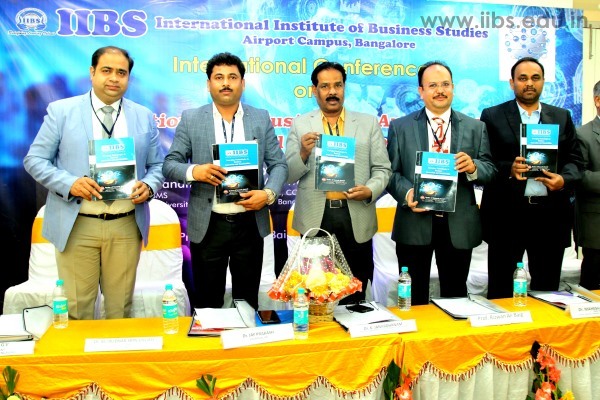 He lauded IIBS for the initiative taken in organizing a conference on a happening critical issue. He highlighted on advancement in Technology, and how University is taking an initiative to make the students ready for the advanced technology. 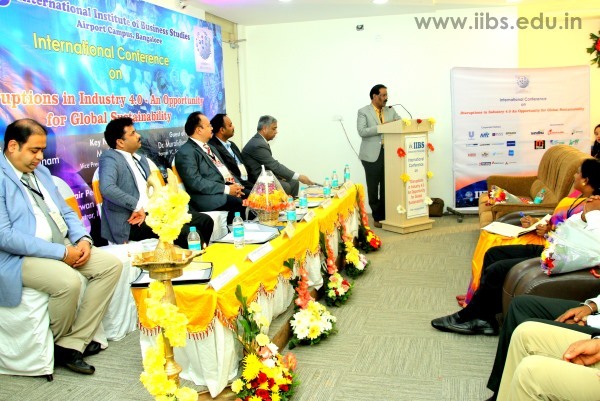 The guest of honor Dr.Muralidhar Srinivasiah emphasized on changes required in the education system with respect to the technology to compete with the industry. The chairman of IIBS Dr.Jay Prakash urged the participants to play a constructive, and progressive role in using the tool Technology. 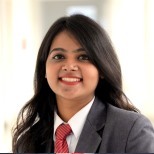 He encouraged the students present to realize the importance of Disruptions in Industry 4.0, and cash in the opportunity as they are the most fortunate generation witnessing the dynamics of Technology. 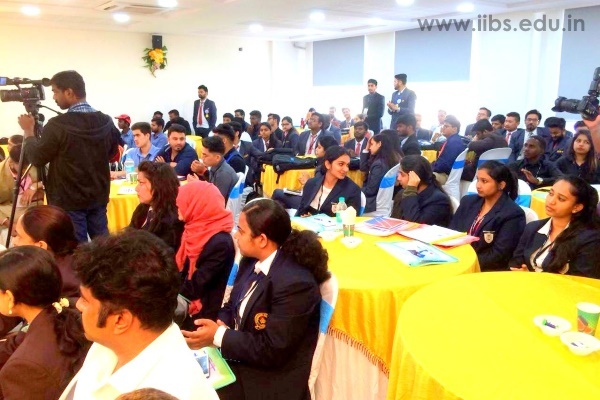 The conference was chaired by the Registrar of IIBS, Prof. Rizwan Ali Baig, Dr. Rajasulochana, Principal, IIBS presented the theme of the conference, Prof. Kuldeep Sharma, Dean and Prof. NSR Murthy, Dean of Finishing School presented the welcome address and vote of thanks.